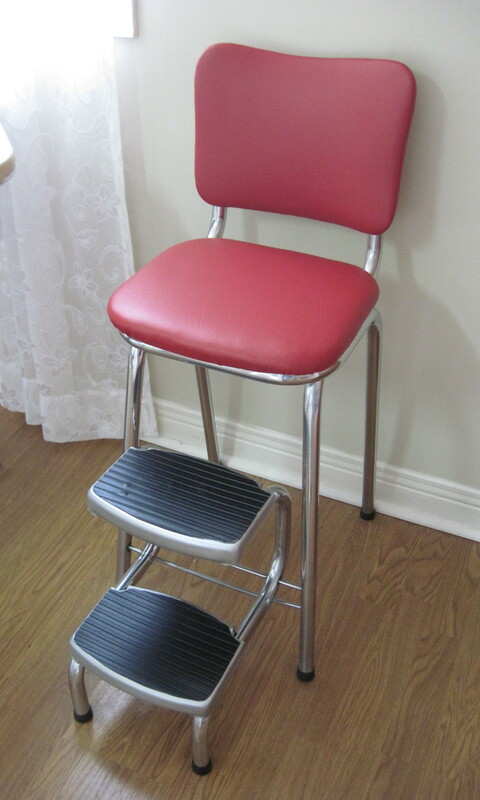 We just finished reupholstering and cleaning this mid century chrome step stool. We used a tough red marine vinyl for the seat and back and put new rubber treads on the freshly painted silver steps. We cleaned and polished the chrome so now it looks great and ready to go to my booth in Almonte, at the Almonte Antique Market, 26 Mill Street, Almonte ON. Nice and sturdy, great for the kitchen. I hardly ever come across Rosti dishes. I find the utensils and mixing bowls and jugs frequently, but not plates and cups. These all have the Rosti mark, made in Denmark. Most of the pieces in the photo show some utensil wear and usage but since I have never found these in any large amount before, I thought they would be worth having even with the wear and tear. The colours are still very vibrant. The two lug bowls are not Rosti but complement the colours of the Rosti. The colours are a deep purple and bright red. The dishes will soon be for sale in my booth at the Almonte Antique Market, 26 Mill Street, Almonte, ON,just 30 minutes west of the city of Ottawa. Priced separately at between $2 and $4 each piece. 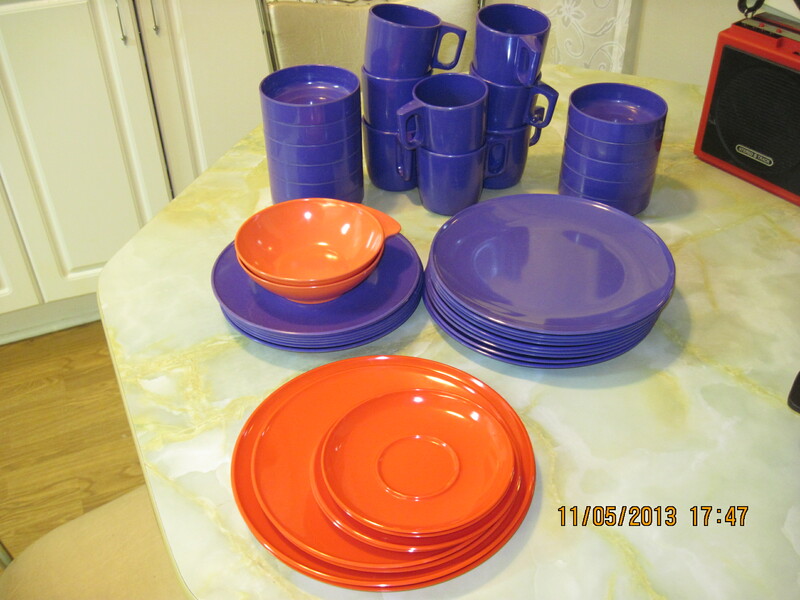 Please note the red dishes are now SOLD!! 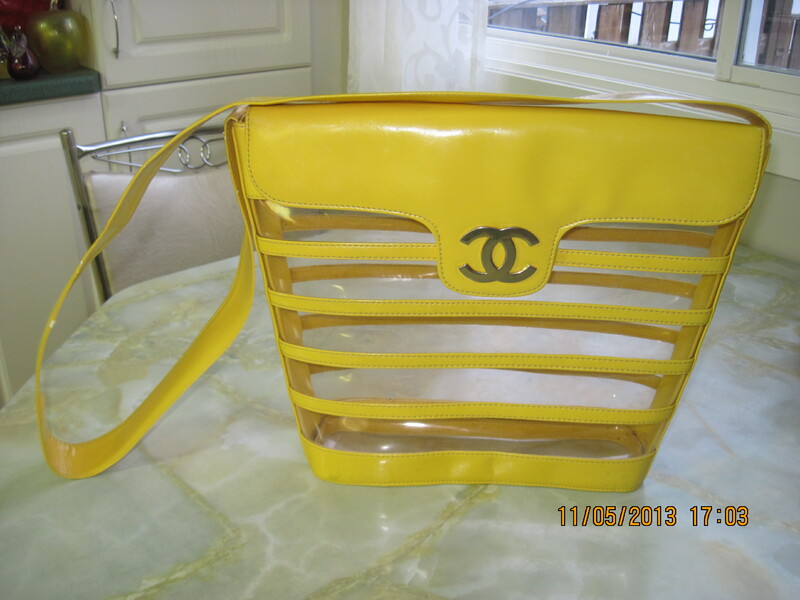 Vintage Coco Chanel yellow vinyl and clear vinyl striped purse. 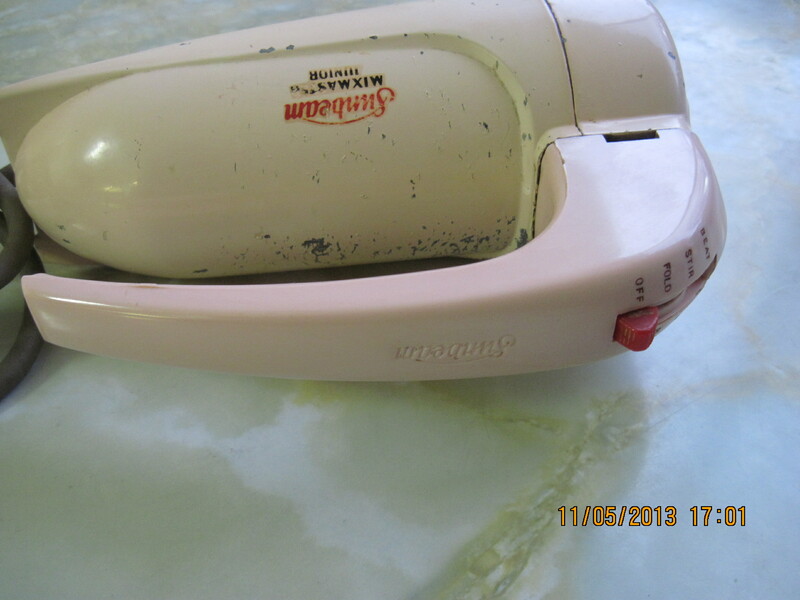 The shoulder strap has some wear along the edges. This may be a reproduction, but I don’t know for sure. It is still a very nice example and would be great for toting things to the beach in the summer. Will be for sale eventually at my booth in Almonte ON, at the Almonte Antique Market, 26 Mill Street. 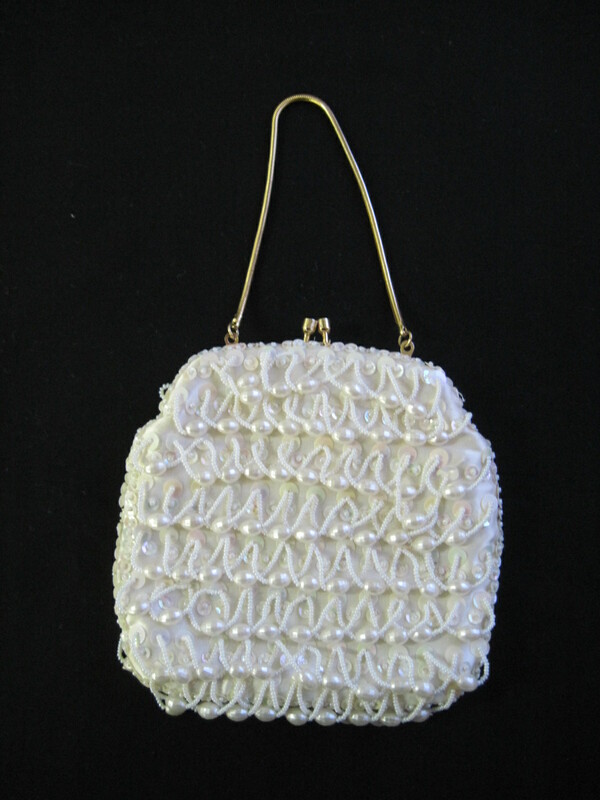 Please note this purse is now SOLD!! 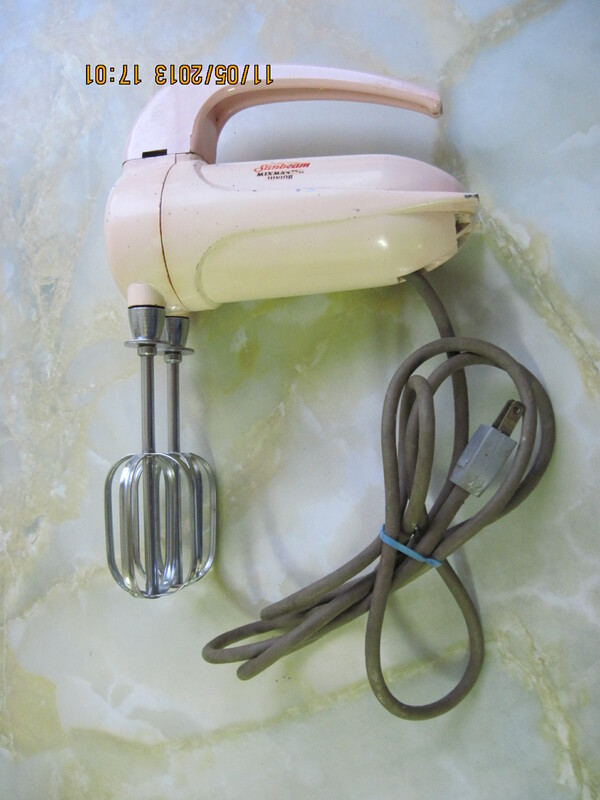 This mid century Mixmaster Junior by Sunbeam works perfectly. The beaters turn easily and the motor sounds great. 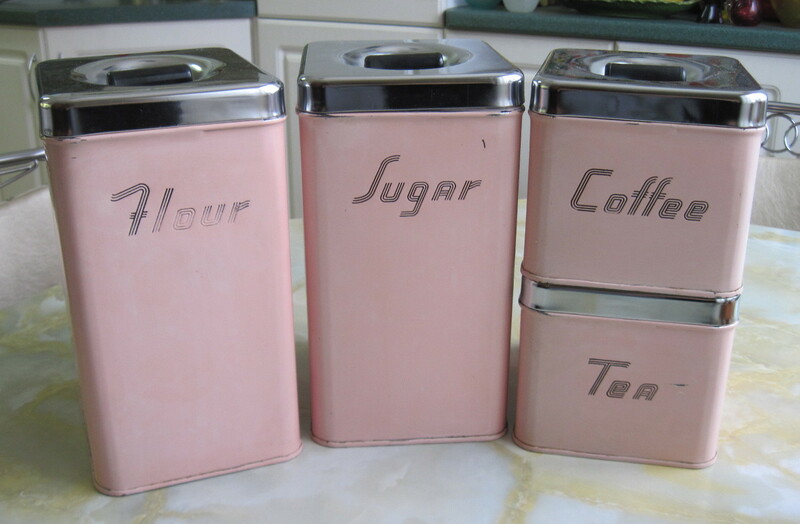 Obviously well used and loved by some baker somewhere, there are lots of scuff marks on the surface but the pink colour is much rarer to come by than the chrome or white. For sale at my booth at the Almonte Antique Market, 26 Mill Street, Almonte, ON. Just 30 minutes west of the city of Ottawa. Probably circa 1970’s. 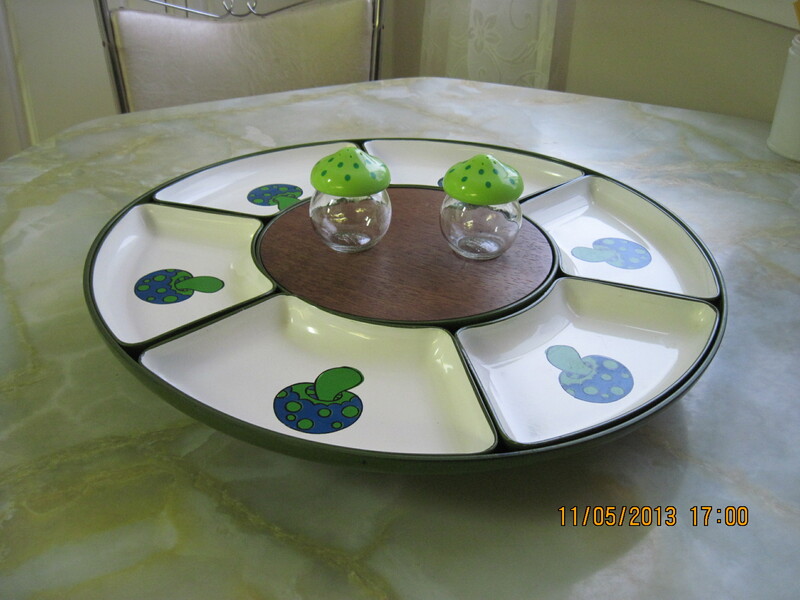 Nice overall condition on this large lazy susan, with mushroom decorated relish inserts and center cutting board. Two vintage polka dotted shakers were added to the photo since they are the same vintage. The caps are plastic and the shakers are glass. For sale at my booth at the Almonte Antique Market, 26 Mill Street, Almonte ON, just 30 minutes west of the city of Ottawa. 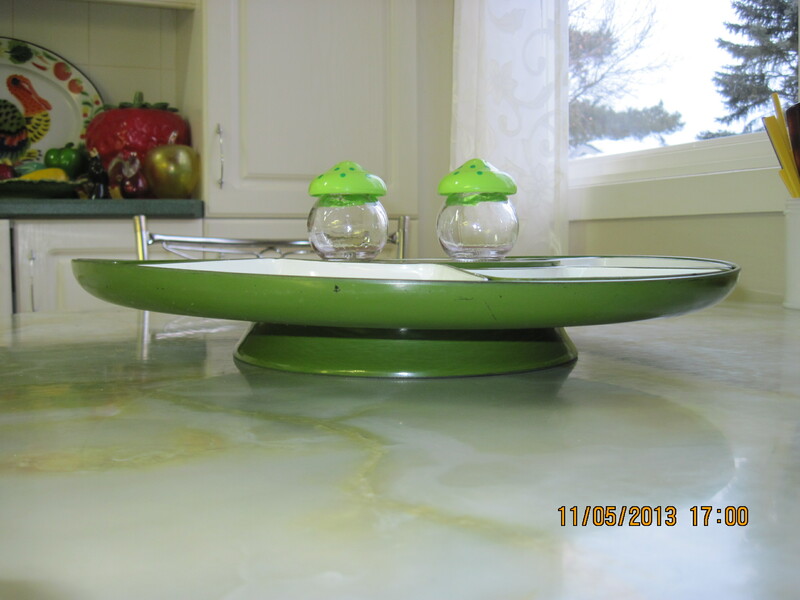 Priced at $25 for the tray and $6 for the shakers.